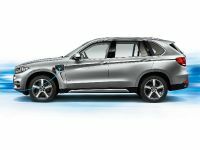 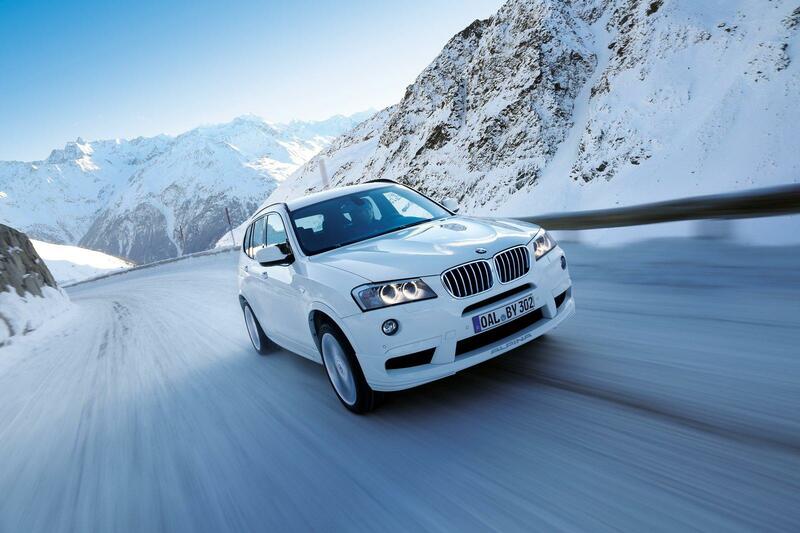 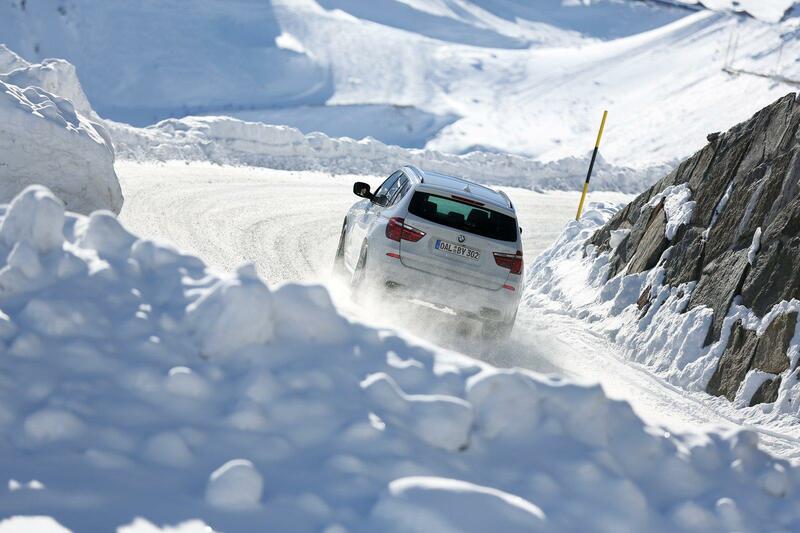 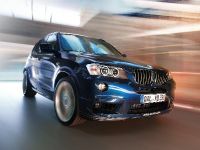 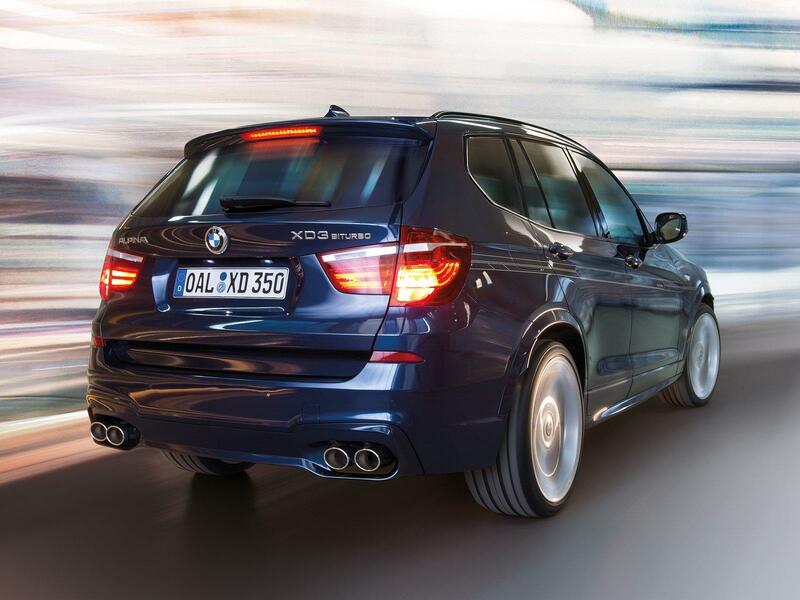 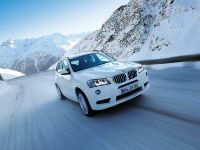 An interesting and powerful BMW X3 is exhibited at the 2013 Geneva Motor Show. 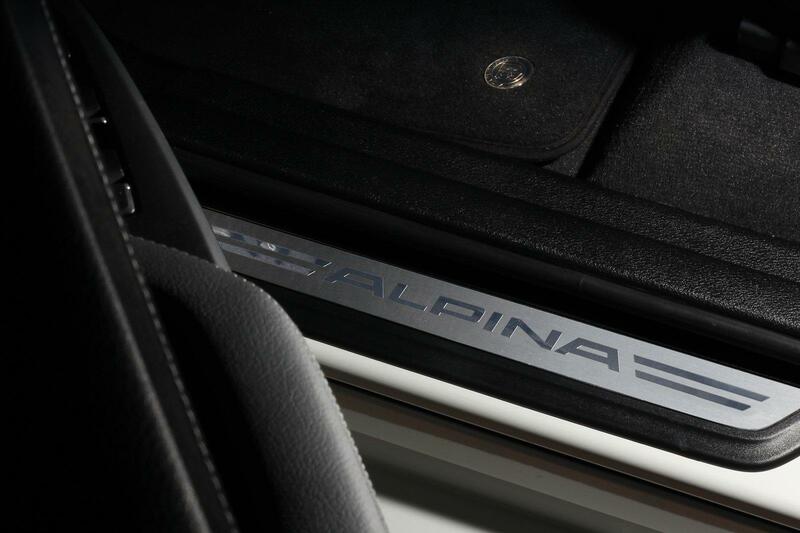 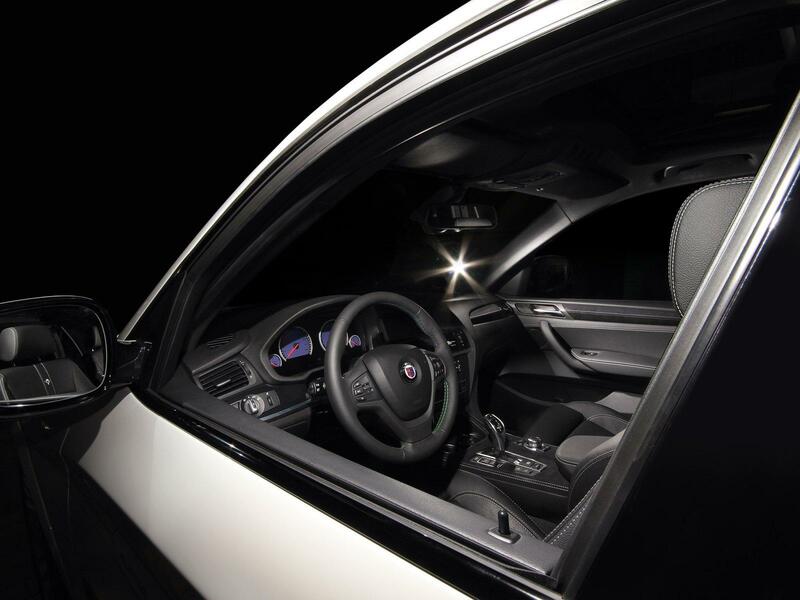 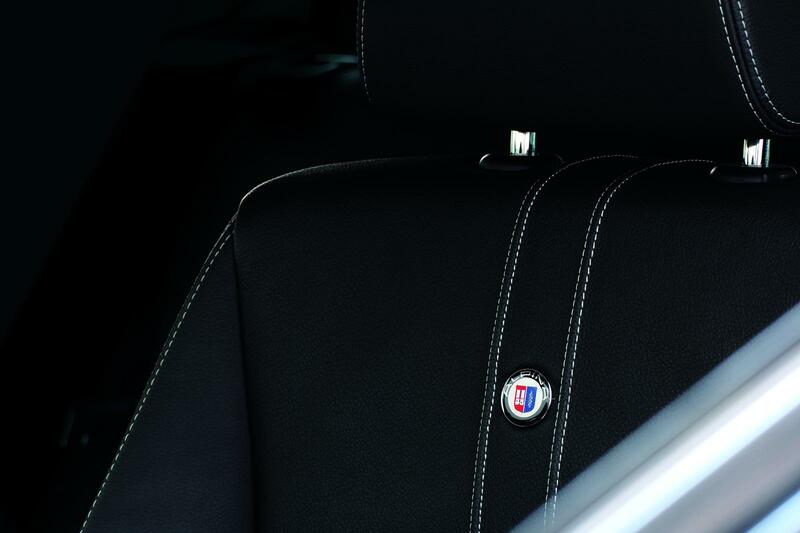 The Alpina version of the small SAV boasts extreme power and some nice upgrades. 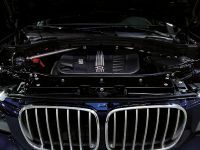 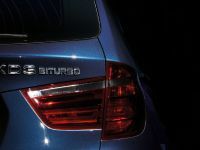 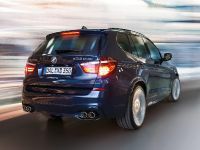 The name is Alpina XD3 Bi-turbo and it is powered by a straight-six, full-aluminum 3.0-liter diesel with two turbochargers. 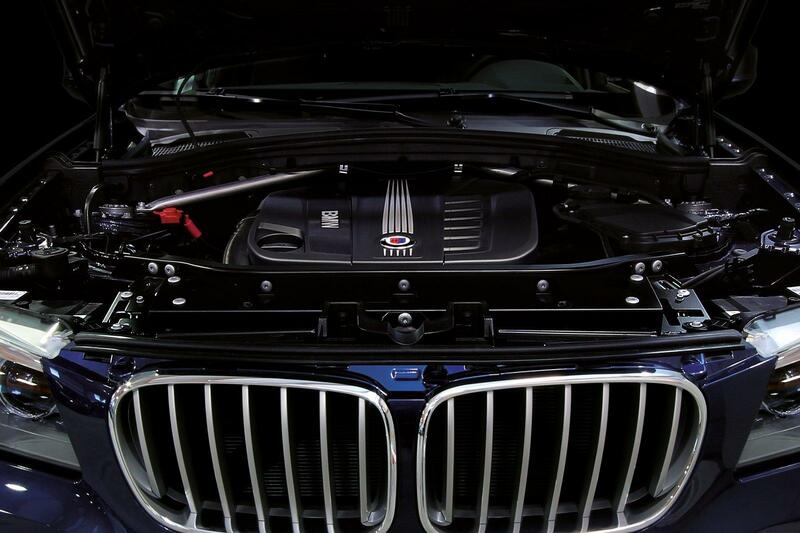 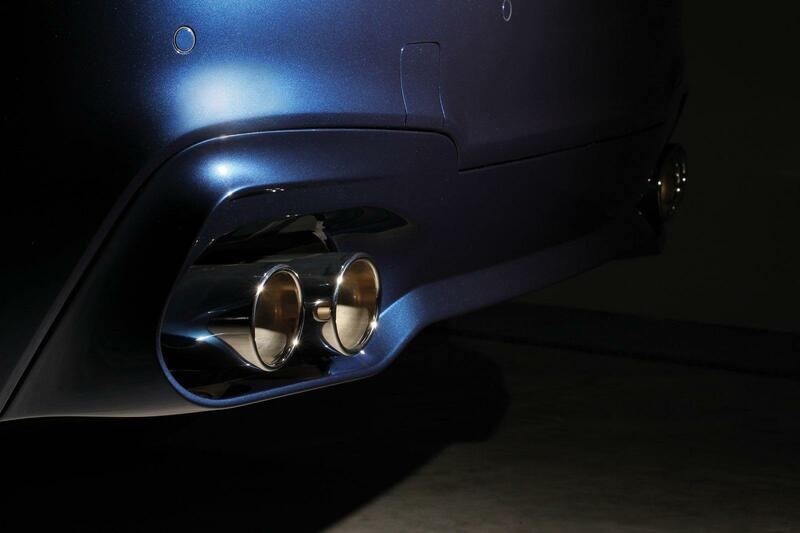 The result is spectacular – 350HP (257 kW) at 4,000RPM and 700Nm (516 lb-ft) of torque at 1,500RPM. 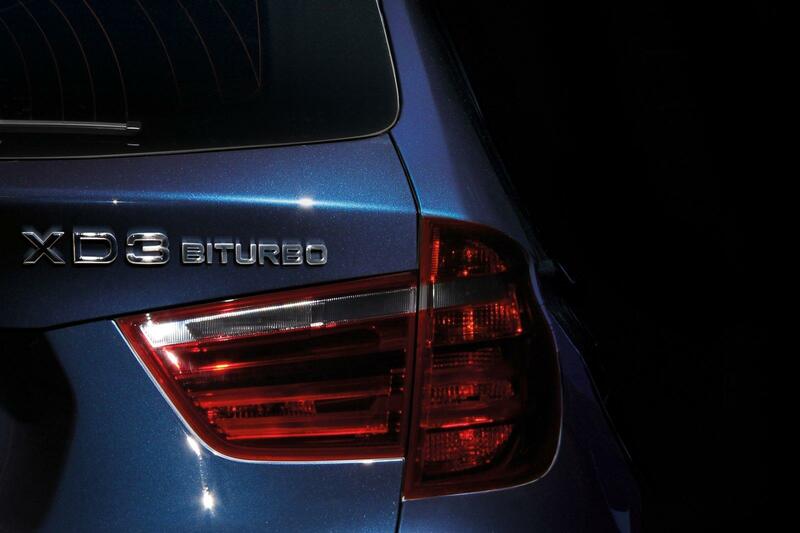 Despite all that power, the XD3 Bi-Turbo has a a fuel consumption of only 6.8 liters / 100 km (41.5 mpg US) with CO2 emissions of 180 g/km. 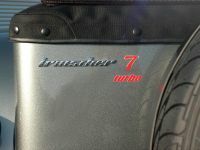 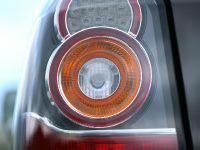 The engine is mated to an 8-speed ZF automatic transmission. 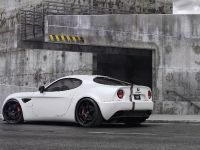 0-100 km/h in 4.9 seconds and 0-200 km/h in 21.7 seconds. 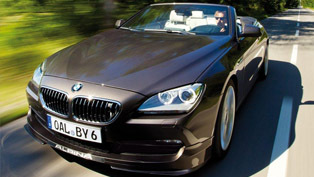 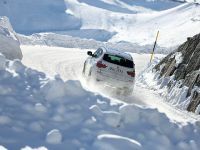 The top speed is 253 km/h (157 mph). 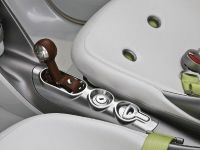 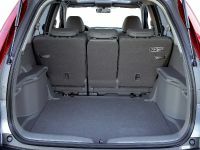 The curb weight of the vehicle is 1910 kg. 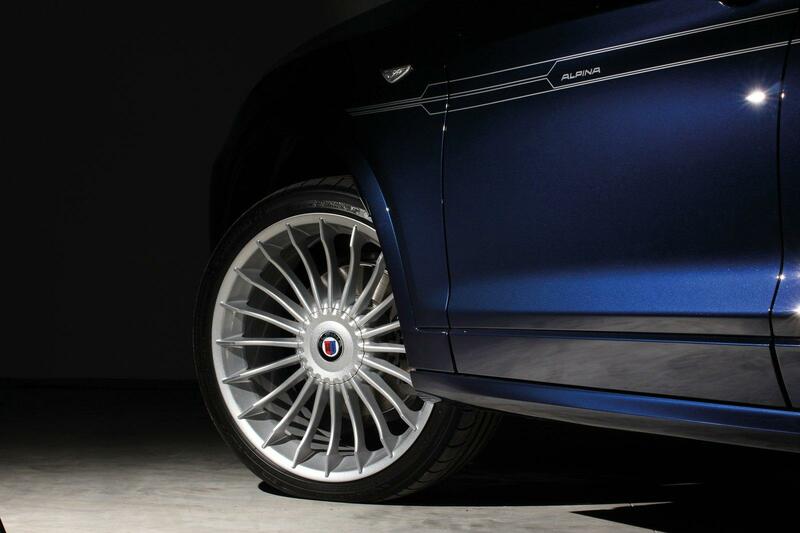 Alpina XD3 Bi-Turbo rolls enormous 20" ALPINA CLASSIC wheels fitted with MICHELIN Pilot Super Sport tyres – 255/40 ZR20 front and 285/35 ZR20 rear. 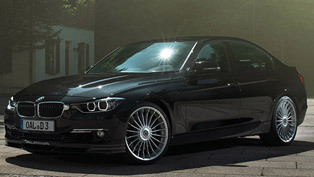 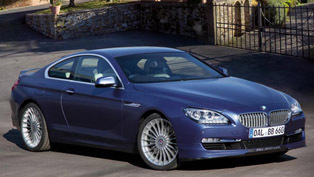 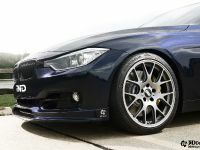 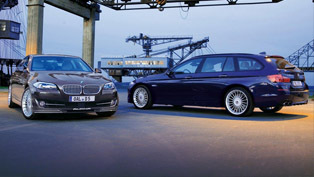 There is also an option for 21" ALPINA CLASSIC wheel and tyre set-up. 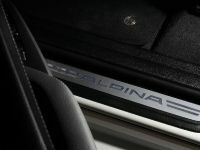 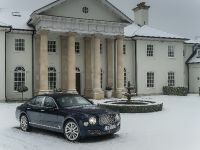 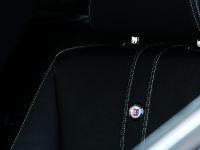 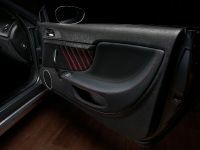 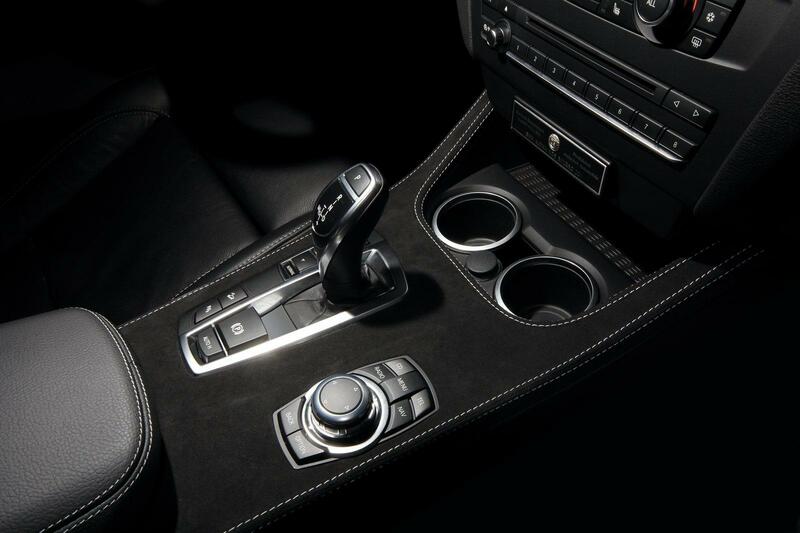 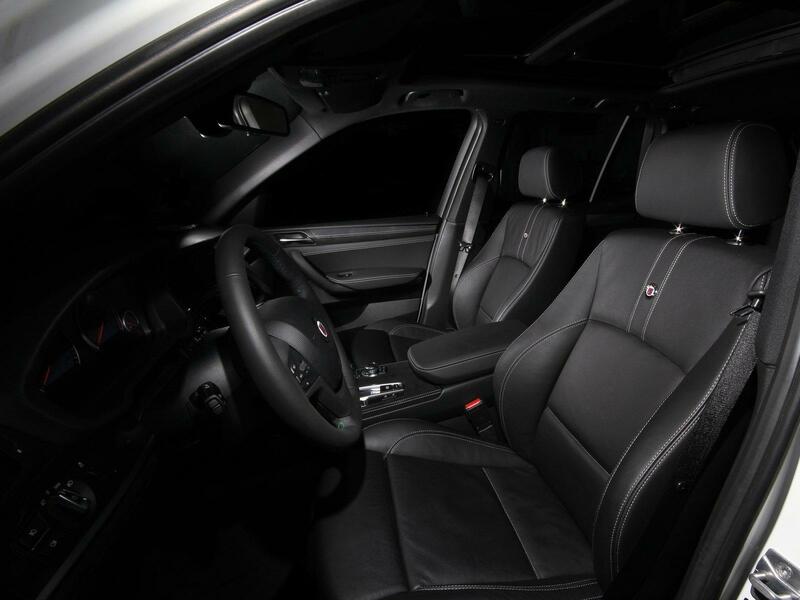 Other upgrades include electronically-adjustable dampers, a custom sports exhaust system with dual double-ended tailpipes, a sport steering wheel with blue/green stitching, door sills, floor mats, gear indicator and a digital speed read-out.